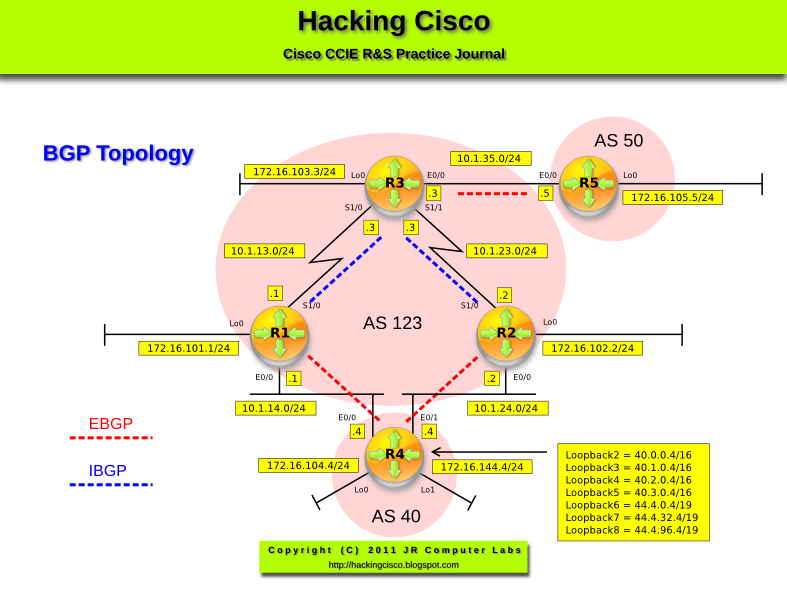 Use the configuration from Lab 130 except for route-maps that change the next-hop. 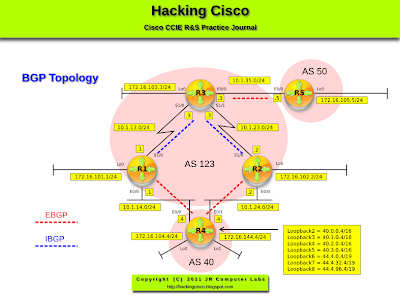 Similarly to the lab 129 and 130, deal with the next hop on R1, R2 and R3, but do not use 'next-hop-self' or route-map to change the next-hop while advertising BGP prefixes in AS 123. Pic. 2 - BGP Prefix from AS 50 on R1. Pic. 3 - Reachability to 10.1.3.5 on R1.